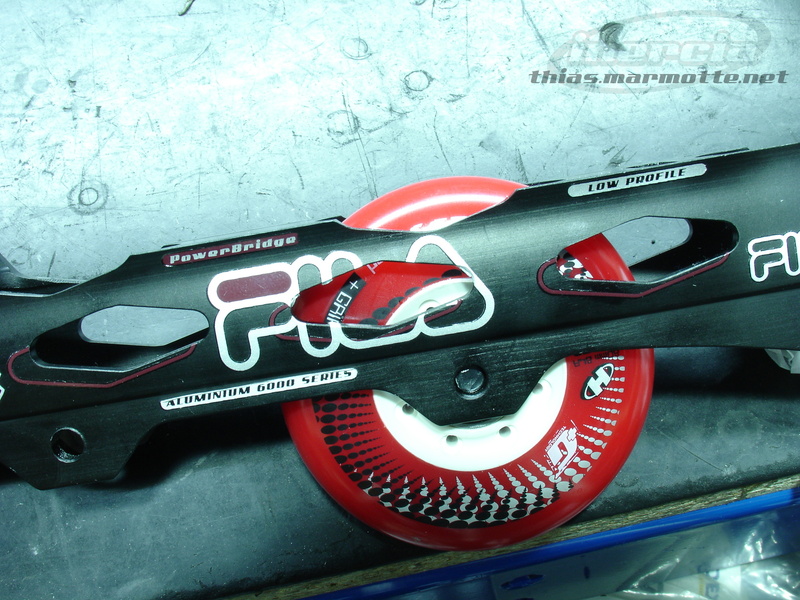 Fila has officially entered the freeride skates segment this year with its NRK line. As a side note, I’m curious as to what NRK stands for, as I have no idea, unlike FSK which is an abbreviation of Freeskate. Maybe just brands wanting to sound hype. We’ll know once people are no longer able to differentiate skate names from motorcycle names : FSK, ZZR, FRX, YZF, NRK, GSX.. we’re getting there! 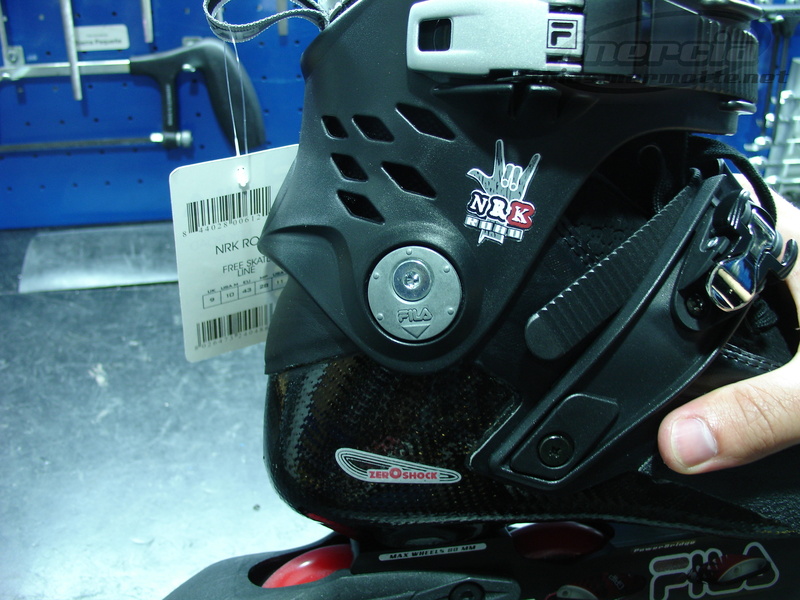 These new NRK skates are clearly aimed at urban skaters looking for stiffer and more resistant skates than the typical fitness skates. 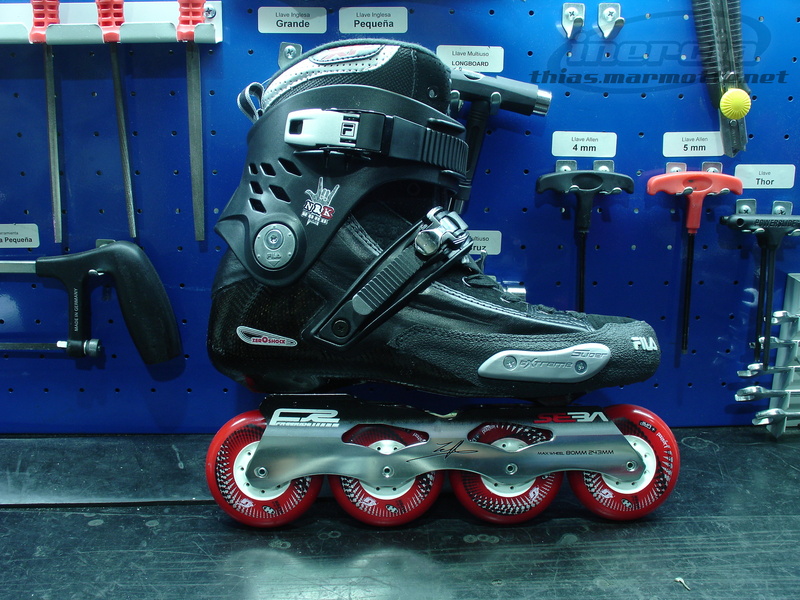 The NRK and NRK Road (the 4x80mm frames models, with plastic and fibre shells respectively) are direct competition to the Rollerblade Twister and X5 as well as the Seba FR1, while the NRK A5 and NRK A5 Road (the 4x90mm active steering frames models) are direct competition to the Rollerblade RB-10 and X7 as well as the Seba GT. I’ve dismantled the NRK Road and detailed a few of the interesting points which are revealed by the pictures. The frame is mounted too far back for my taste. 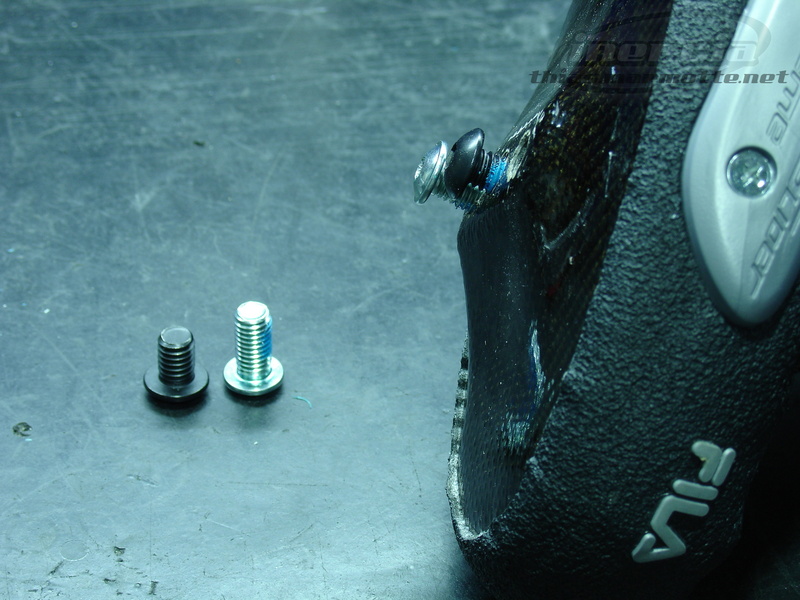 Probably because of the low profile where the front screw needed to be separated from the second wheel. Not such a big deal, but it does also affect the looks. 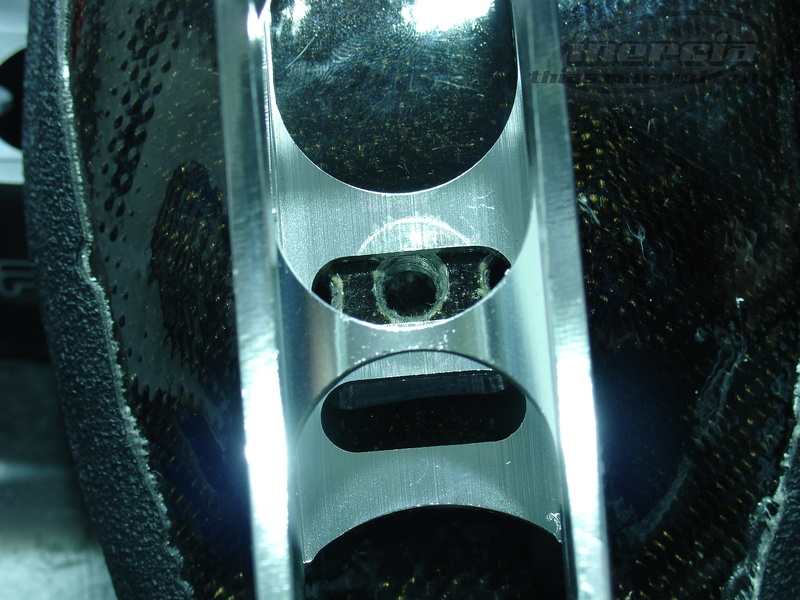 The eXtreme Slider is nearly useless : It’s too thin and the screws can get damaged very quickly, making it hard or even impossible to replace. Fila seems to have failed to see the difference between speed skaters and freeriders practising slides… I hope they fix this next year. 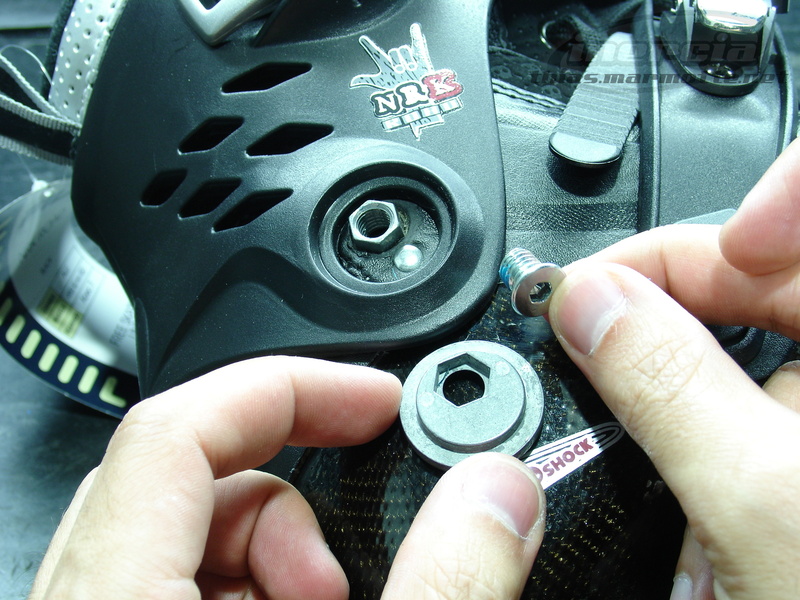 The frame axles and frame/shell screws have very shallow heads, and will easily get damaged. 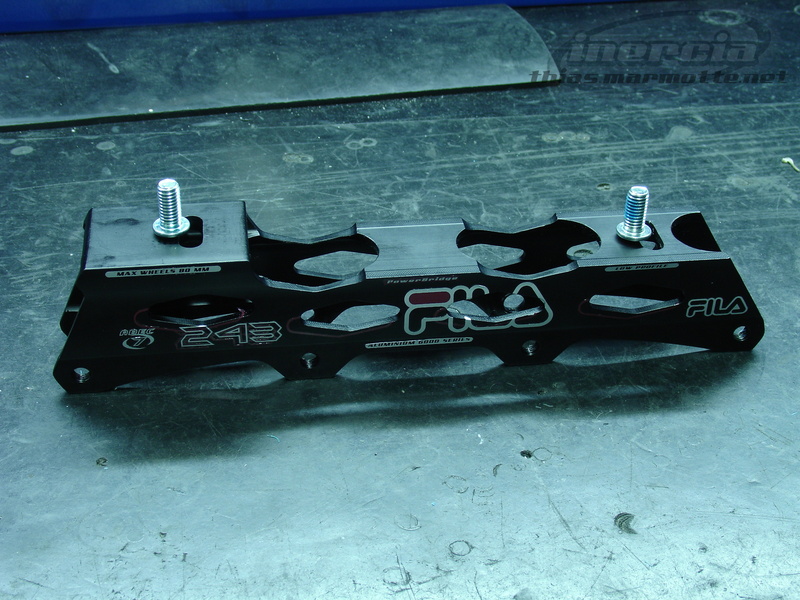 They look even weaker than the first steel Seba axles, so be extra careful or prepare for some serious drilling. 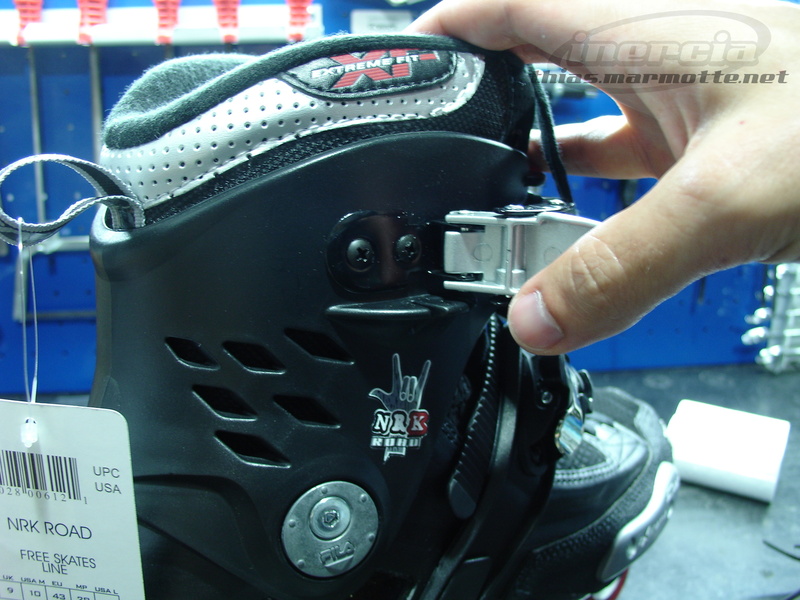 The adjustable cuff buttons feel shamelessly copied from the Seba FR skates (much like most of the skate, actually…), but since 9 out of 10 skates (or more!) 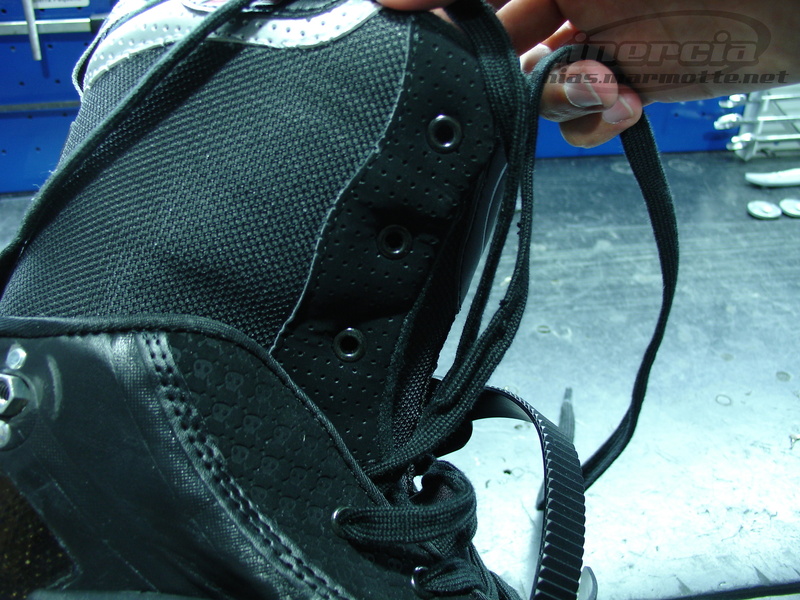 don’t even use that feature on the Seba skates, why having even bothered? 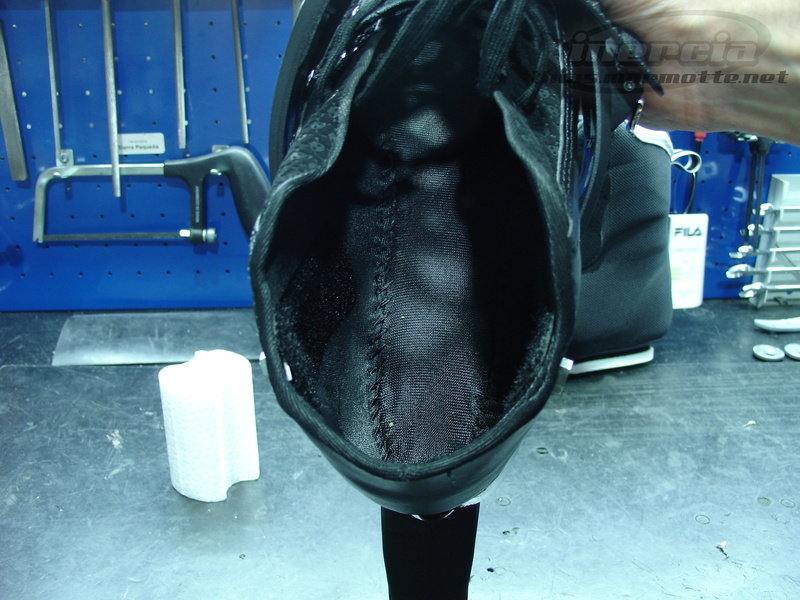 Overall this is a quite a good skate. 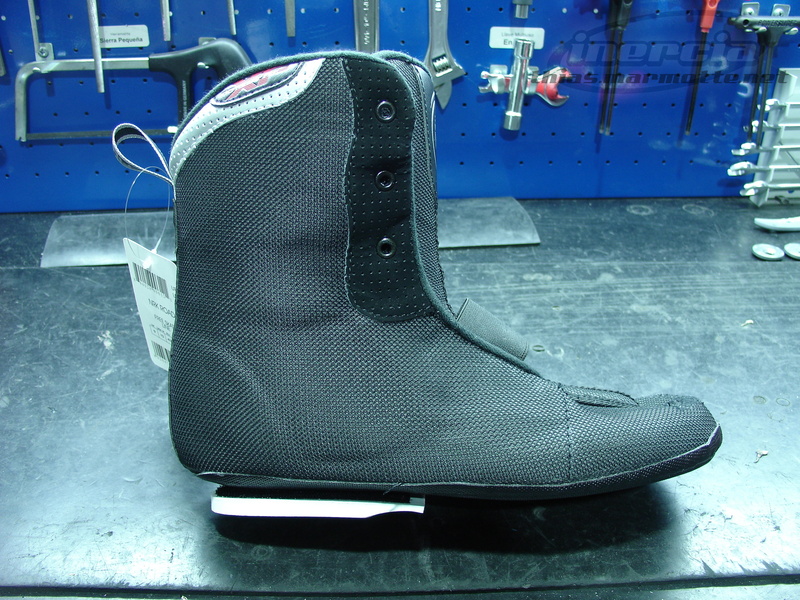 Skating with the NRK Road is enjoyable, as the shells are very stiff, the liners are comfortable, and the buckles work well, giving a tight and precise feeling to the skates. 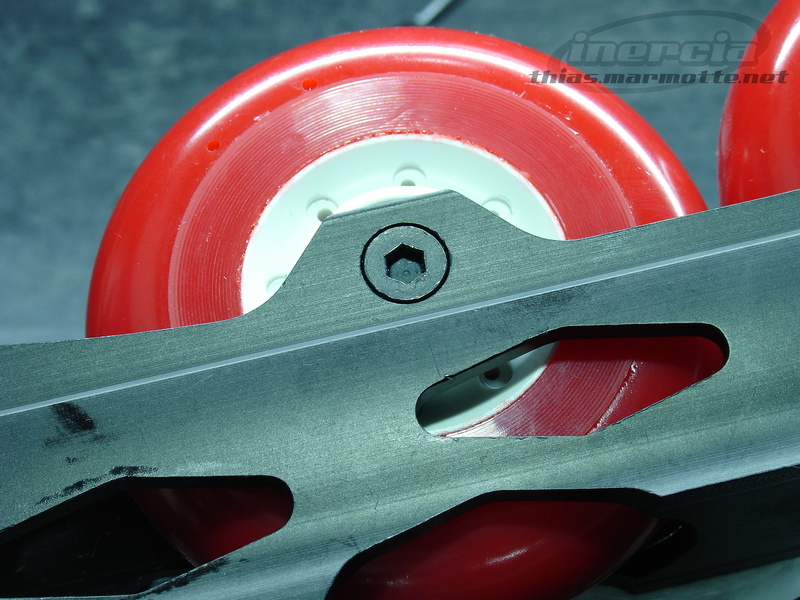 The original wheels (Hyper Concrete) are great, and for that price, it’s definitely a very good option for anyone looking for a decent freeride skate . 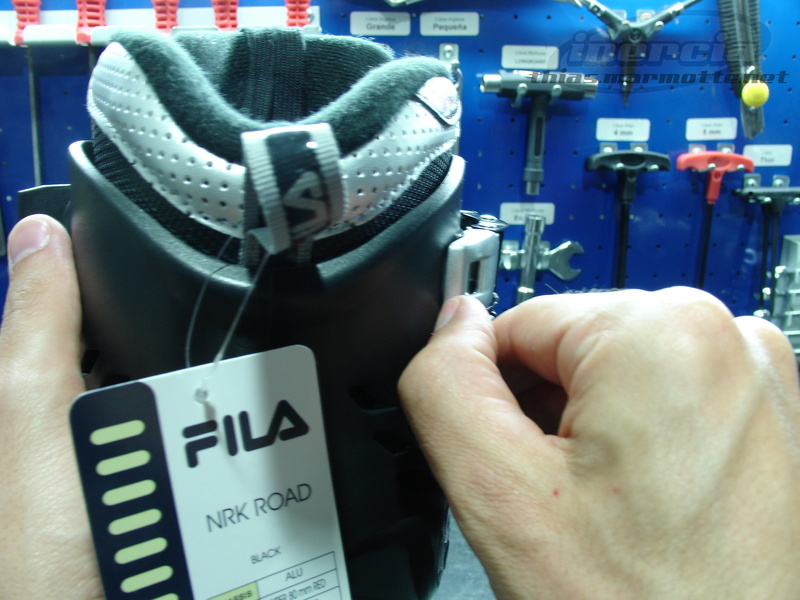 Comes the Fila NRK Road with a break which is on the first photo? Is the berak standard ex factory? Thanks a lot. 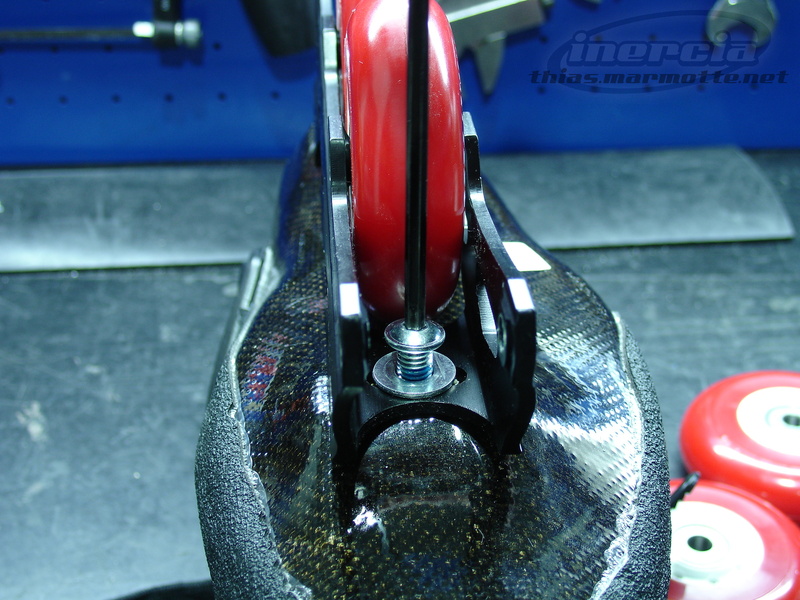 Yes, the brake comes with the skate, factory mounted, but very easy to remove. 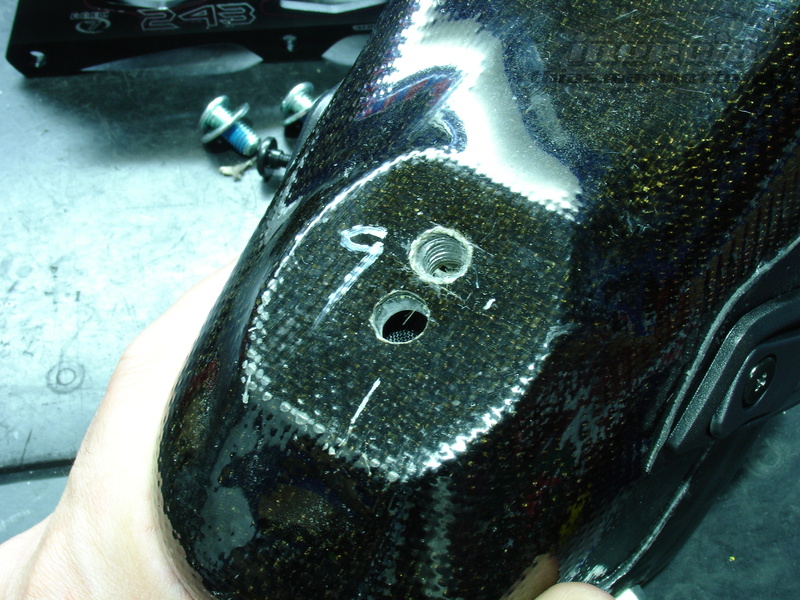 i have a pair of nrk road, and i agree with you: the frame is too far back mounted. i want to order a pair of seba classic frames, and i would like to know if the axles from fila will fit the seba classic frame. 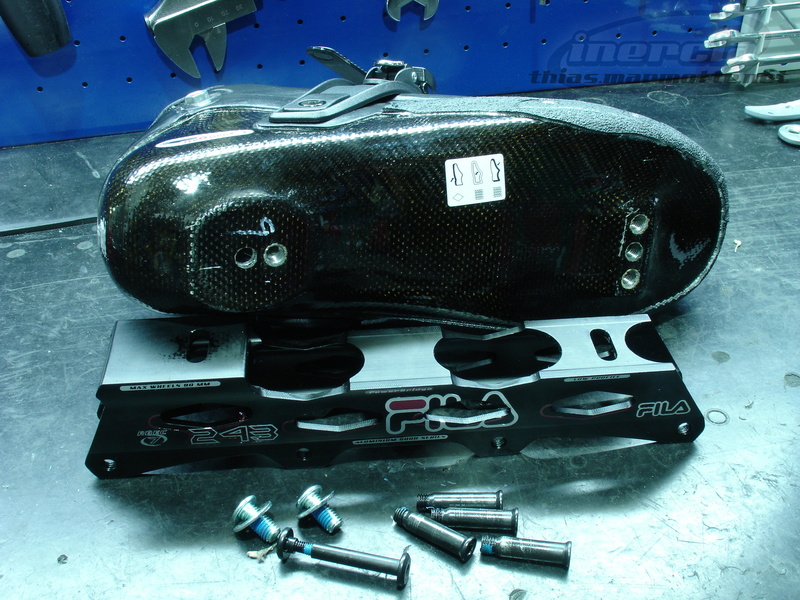 or shall i also order new axles from seba? The axles from both frames should fit the others. 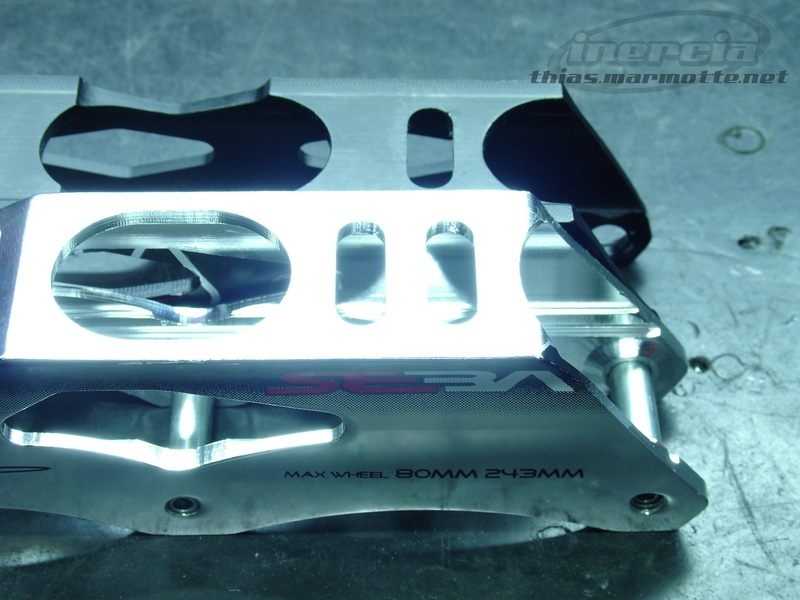 But all Seba frames are sold with axles (and spacers and Allen tools and mounting bolts for Seba skates), so you shouldn’t have a problem. 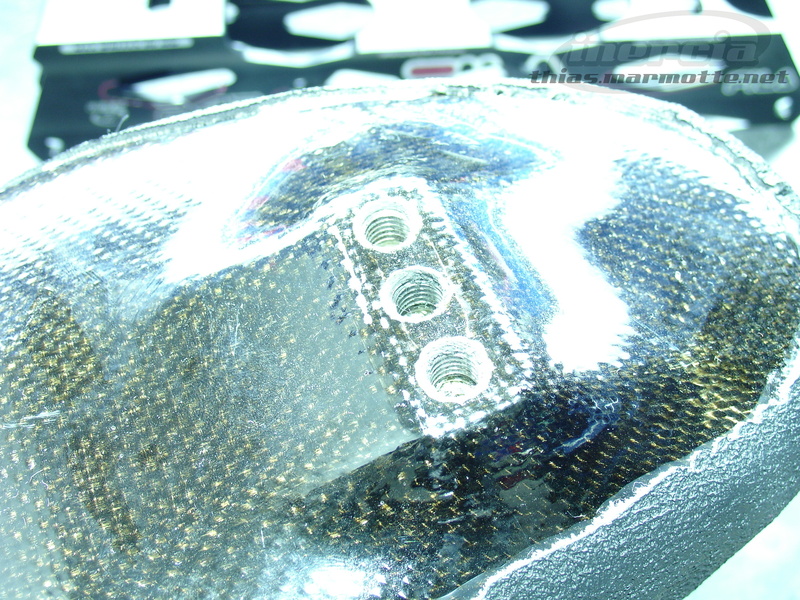 I made the same change: I mounted Seba classic frames, using the back wholes. I will try them this evening, I am sure they will work better. 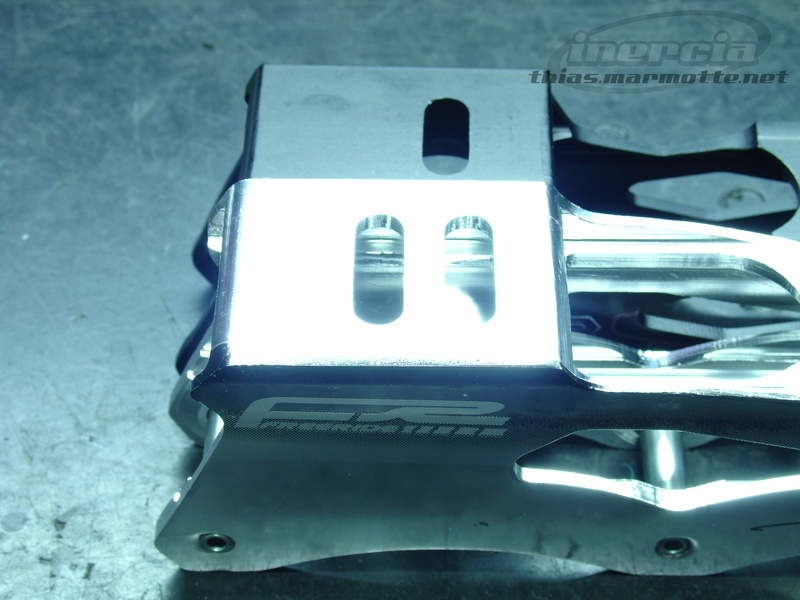 Have you had a chance to see if there are any improvements in the 2011 model? No, I haven’t had the time to check out the 2011 model, but it seems to be exactly the same from what I just saw on the Filaskates website. So the SEBA Classic actually fit with NRK? Yes they fit fine, and the photo you can see here is the real result : The Seba frame is further forward than the original frame, and ends up being better centered. 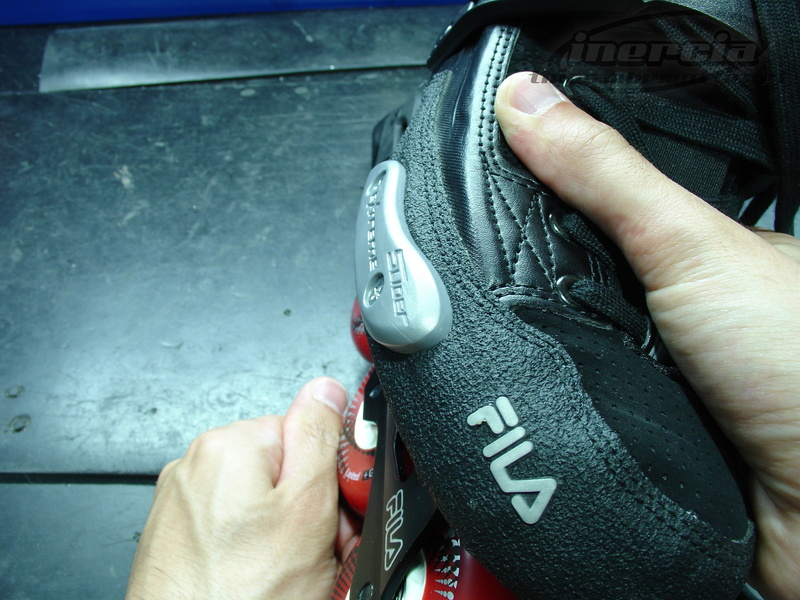 Have you an idea if Seba FR1 cuff fits FILA NRK skates? I’ll like to substitute a broken cuff. 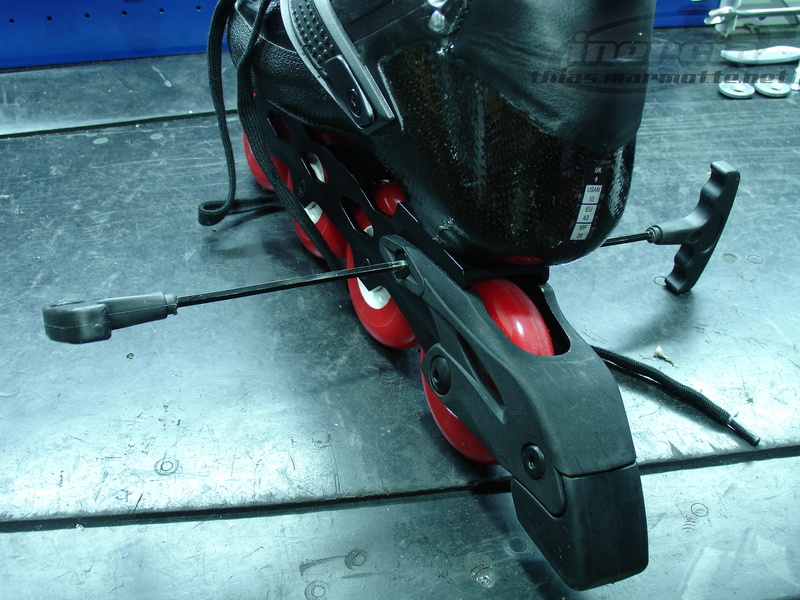 I am about to receive the 2013 version of this skate in the post, thanks to your review. 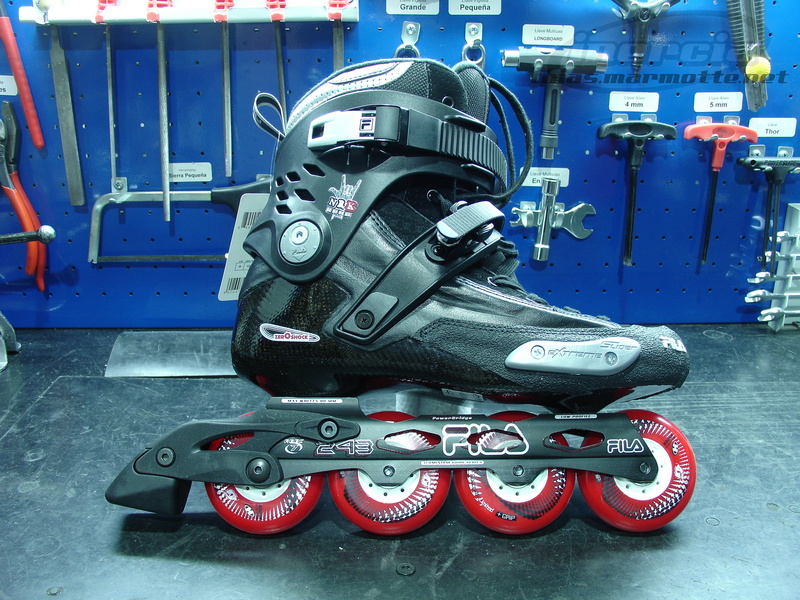 I don’t get on with Seba skates for some reason so upon reading your review I opted for these. 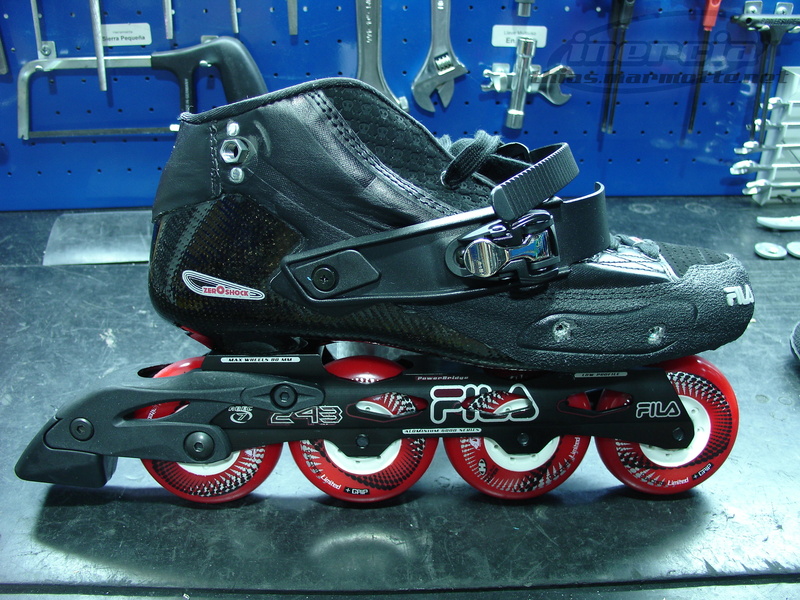 I was just wondering if you think the FR custom colour kit for Sebas would fit on these skates? I really don’t think the FR cuffs would fit nicely. 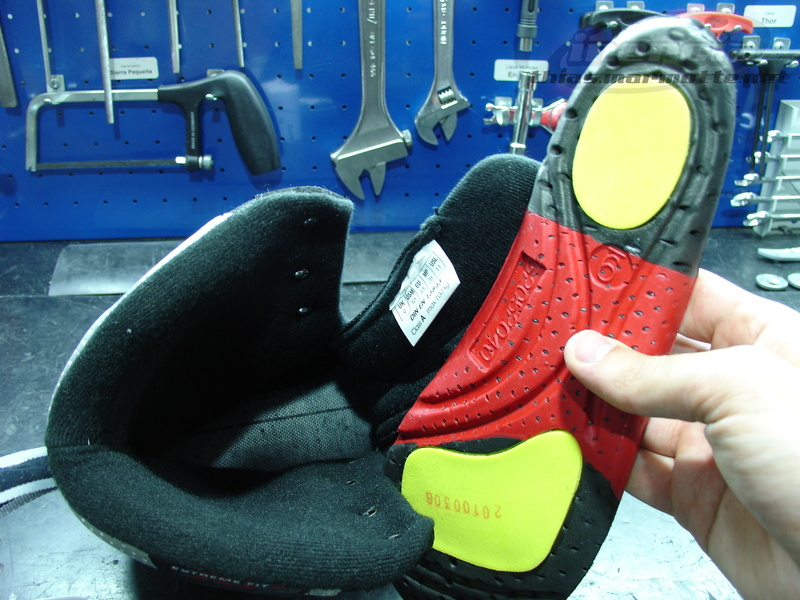 You could maybe try, but since Fila has also started selling its own coloured replacement parts, you should go with those instead to not have any problems. 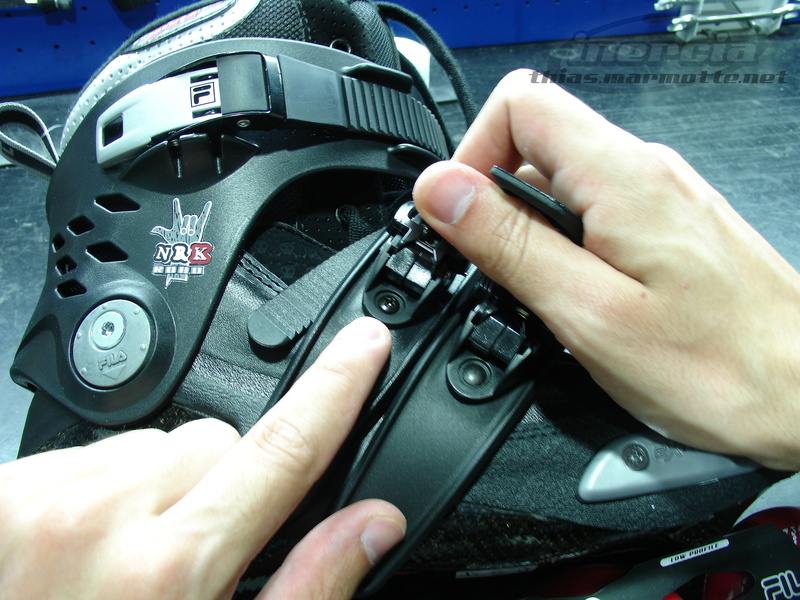 Nrk road is better in 2013 edition, they correct some summary problems: frame is the same but on boot there is 4 holes(1 back and 1 front positions), slider is more deep. 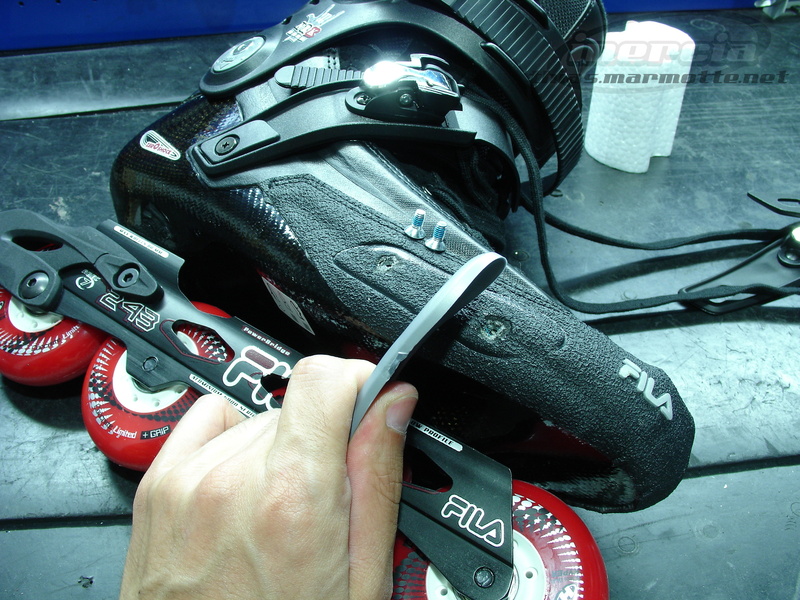 To not increase the price they use worse wheels (fila manufactered), not good as hypers, but always freeskates wheels. 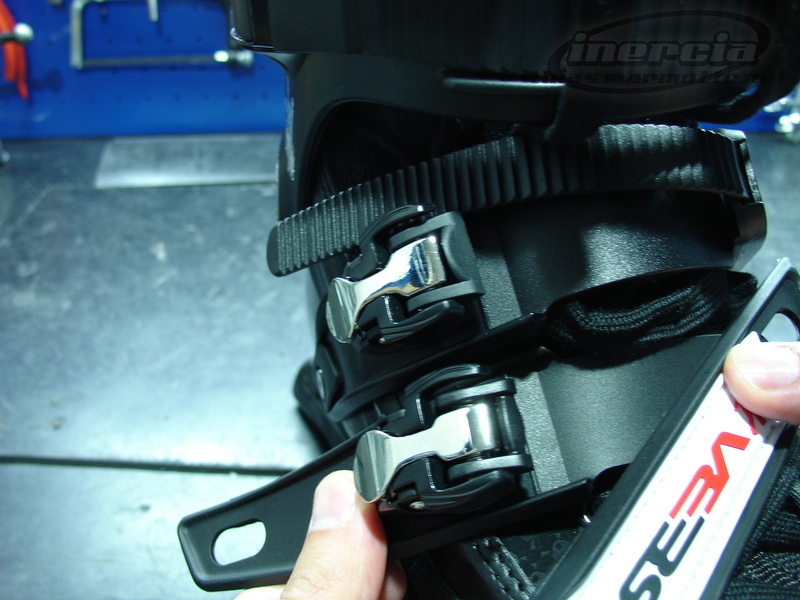 The cuff buckle has a different receiver, more simple to open, and cuff, slider and instep band is white. 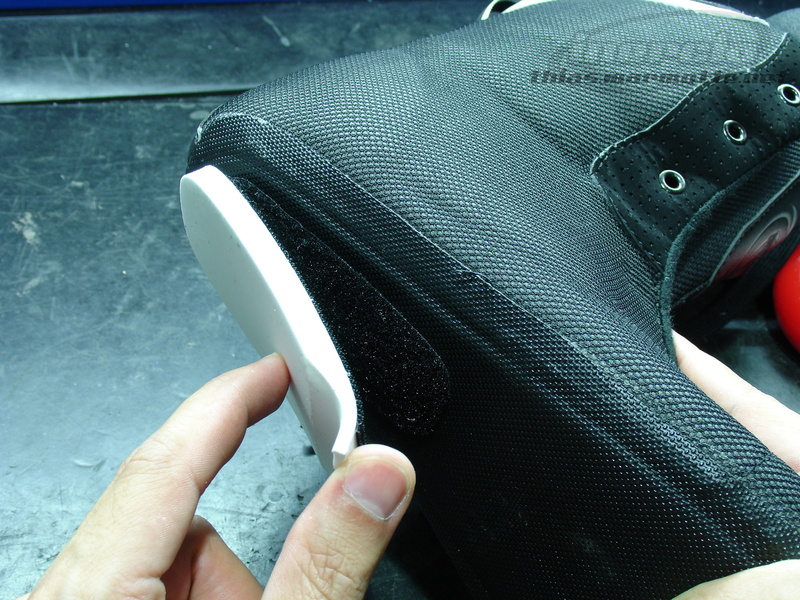 Sadly they stop the production from 2014 to push the new NRK SD 2014, a carbon model without liner, a model that is more studied to freestyle skating.